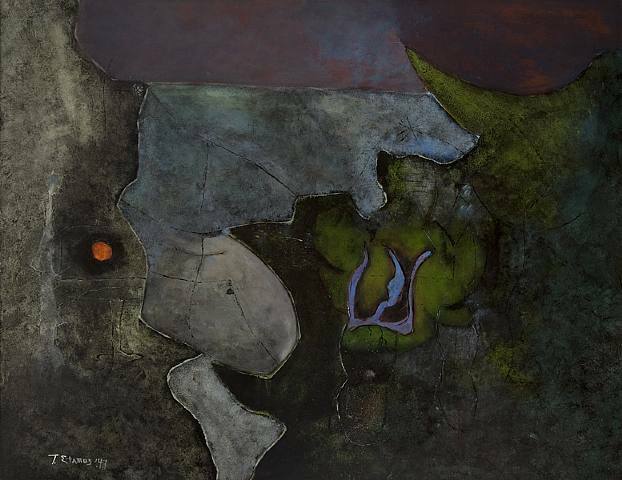 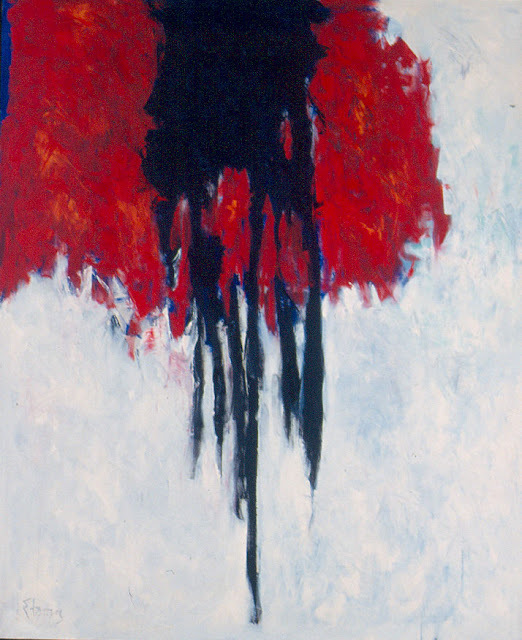 This is the first of a two-part post on painter Theodoros Stamos (1922 - 1997). 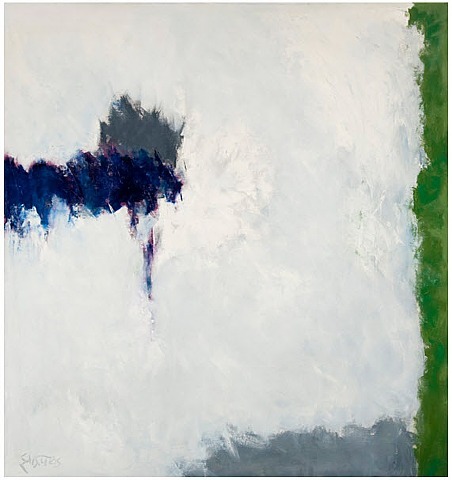 Stamos was one of the original and youngest Abstract Expressionist artists working in New York in the 1940s and 50s. 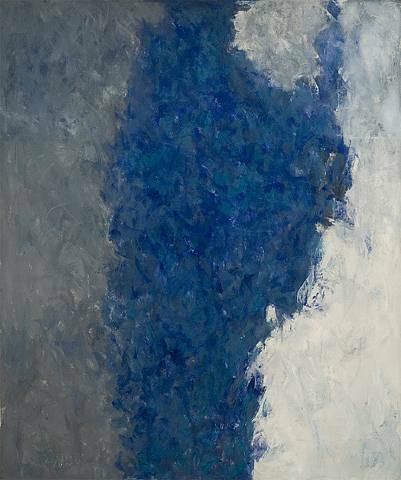 He was born on Manhattan’s Lower East Side to Greek immigrant parents; his mother was from Sparta, and his father was raised in Lefkada. 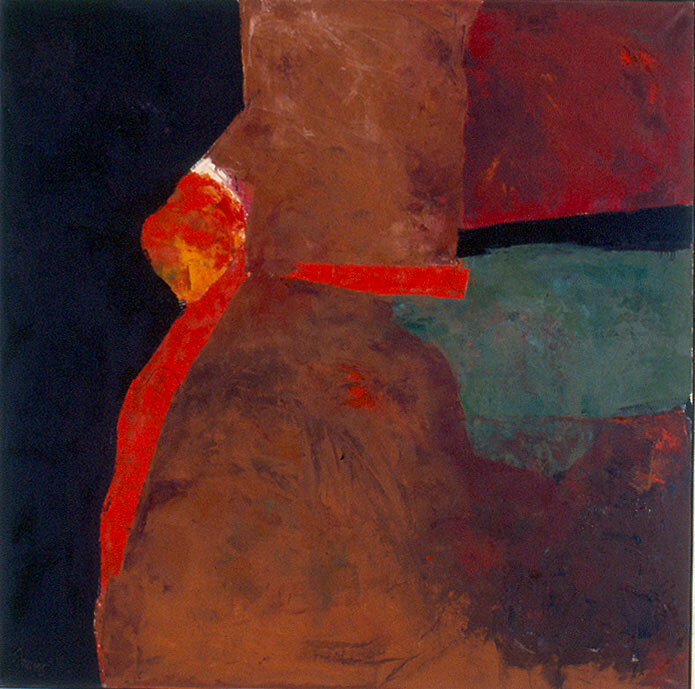 He won a scholarship to the American Artists School where he studied sculpture with Simon Kennedy and Joseph Konzal. His instructor Joseph Solman, who was a member of the group The Ten, became a mentor to Stamos. 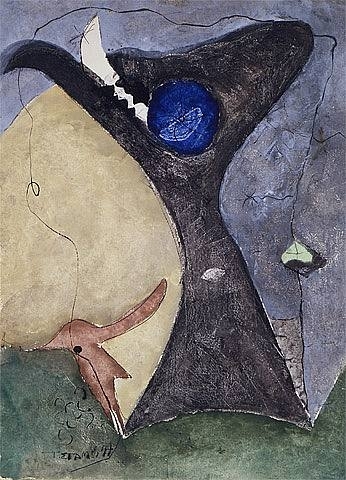 At Solman’s urging, Stamos visited Alfred Steiglitz’s influential An American Place Gallery, where he encountered the work of Arthur Dove and Georgia O’Keeffe, among others. During this period, the late 1930s and early 1940s, Stamos held a variety of odd jobs: printer, florist, hat-blocker, and book salesman. 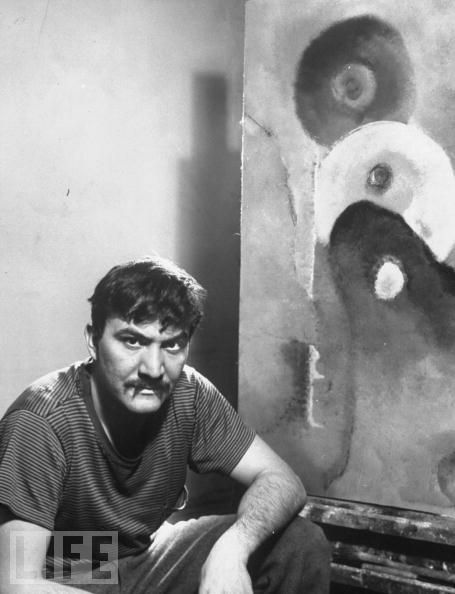 Through one job, at a frame shop on East 18th Street, he met members of the European avant-garde, including Arshile Gorky and Fernand Léger. 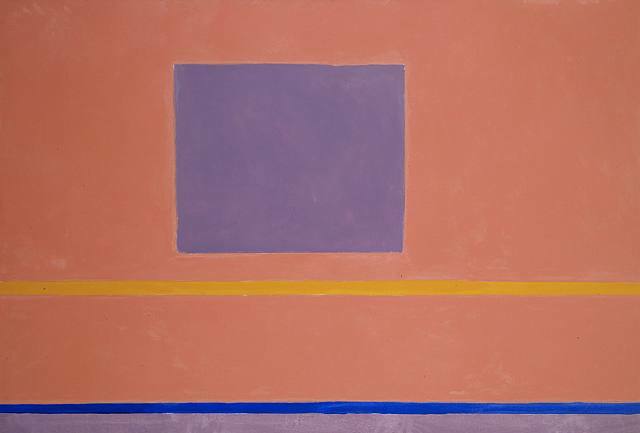 In 1943, when Stamos was 21 years old, prominent dealer Betty Parsons gave him a solo exhibition at her Wakefield Gallery and Bookshop. 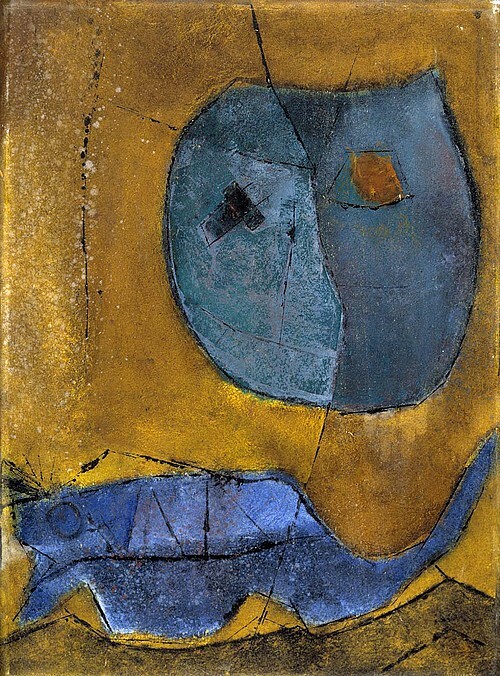 Parsons became an important ally and connection to the contemporary New York art world; Stamos would show regularly with her until 1957. 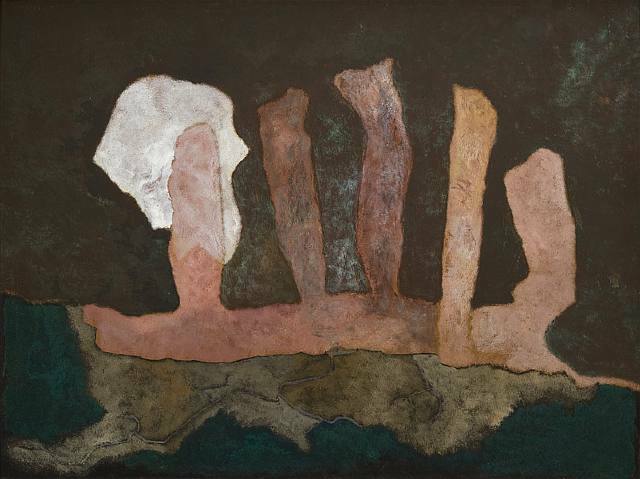 By the mid-1940s, his career was becoming well established – he exhibited at the Whitney Museum annually from 1945 to 1951, at the Carnegie Institute and the Art Institute of Chicago in 1947, and at the Museum of Modern Art in 1948. 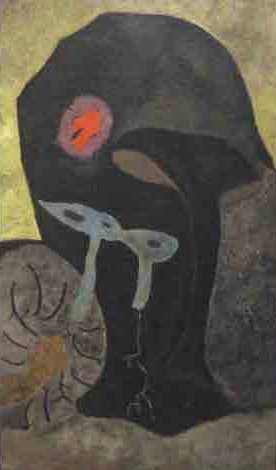 Also during this period, Stamos’ work began attracting the attention of collectors. 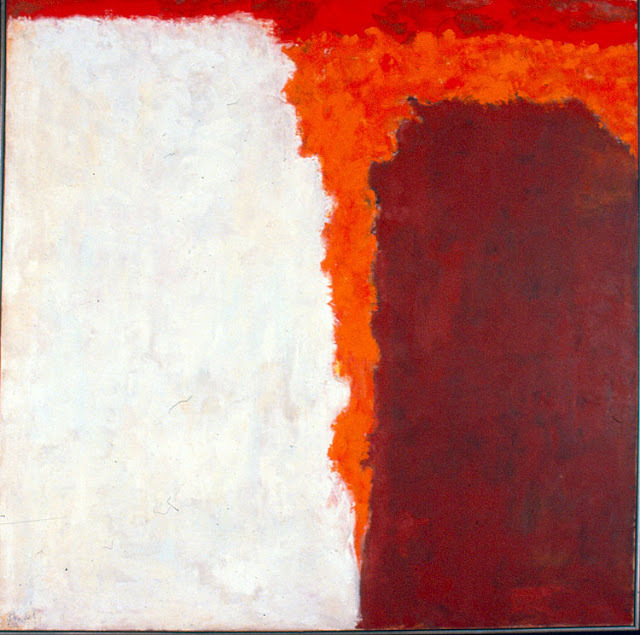 The Museum of Modern art purchased Stamos’ Sounds in the Rock (left) in 1946. 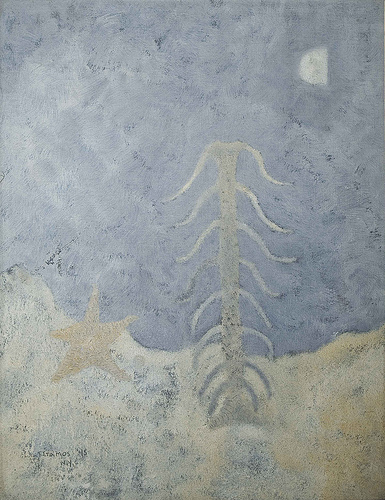 And Edward Wales Root, who became both a supporter of Stamos’ career and a benefactor of the Munson-Williams-Proctor Institute, bought the first of many paintings from the artist in 1945. 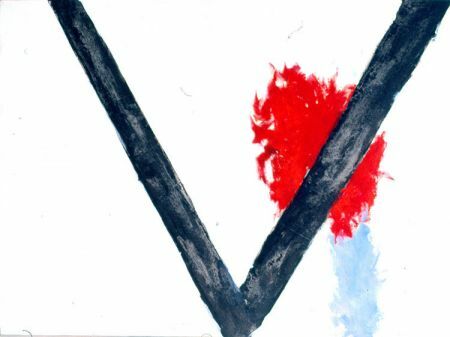 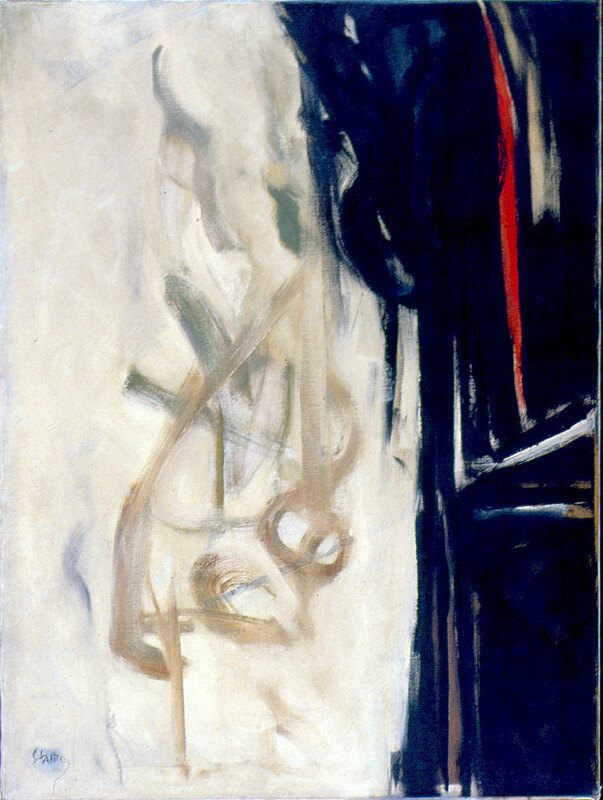 During the late 1940s he became a member of 'The Irascible Eighteen', a group of abstract painters who protested the Metropolitan Museum of Art’s policy towards American painting of the 1940s and who posed for a famous picture in 1950 (see below), members of the group are considered as the 'first generation' of abstract expressionists. 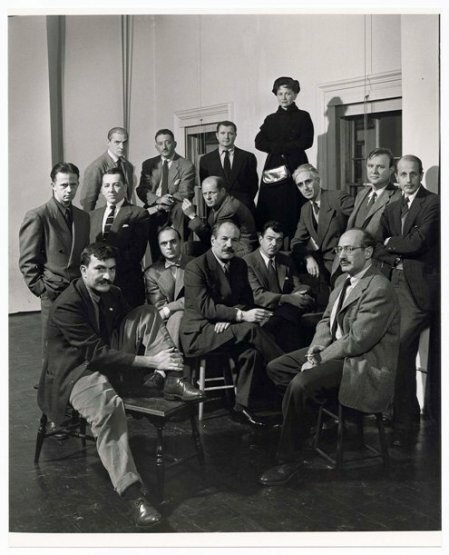 These artists are part of the New York School and they were referred to as The Irascibles in an article featured in an issue of Life where the infamous Nina Leen photograph was published. From left, rear, they are: Willem de Kooning, Adolph Gottlieb, Ad Reinhardt, Hedda Sterne; (next row) Richard Pousette-Dart, William Baziotes, Jimmy Ernst (with bow tie), Jackson Pollock (in striped jacket), James Brooks, Clyfford Still (leaning on knee), Robert Motherwell, Bradley Walker Tomlin; (in foreground) Theodoros Stamos (on bench), Barnett Newman (on stool), Mark Rothko (with glasses). 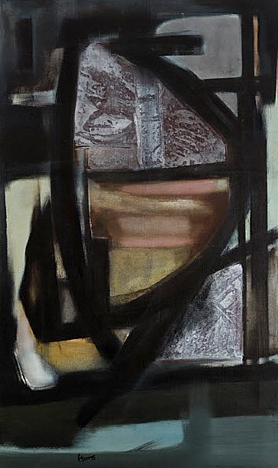 Around 1950, Stamos began exploring a new approach to abstraction. 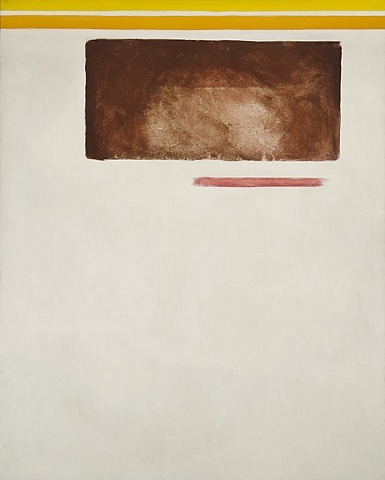 Inspired by East Asian aesthetics, he created his Tea House series of paintings, characterized by softly defined geometric forms painted with a limited palette and often overlaid by dark calligraphic brushwork. 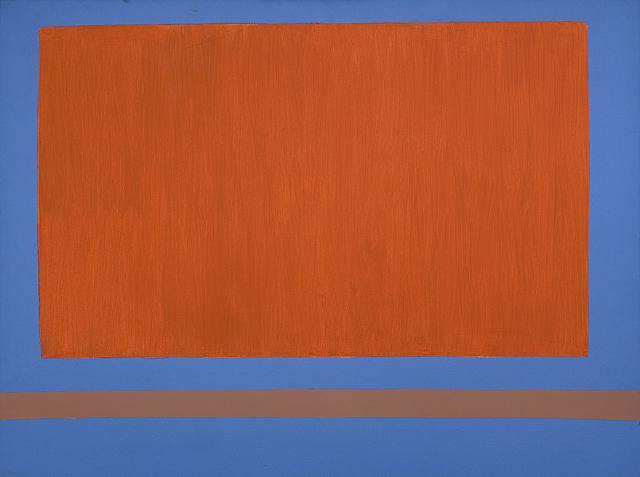 Later in the 1950s, Stamos worked with compositions that became increasingly reductive and simplified. 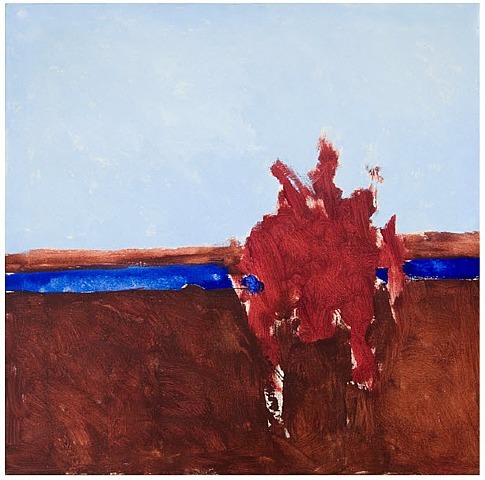 He explored the use of layers of thin pigment, carefully worked, to create depth in his broad expanses of colour. 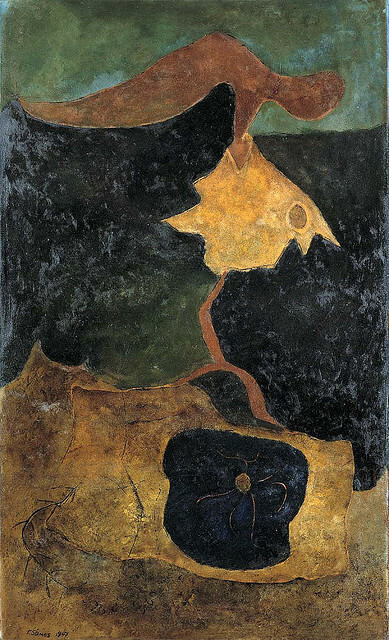 The paintings below cover 1945 to 1968. 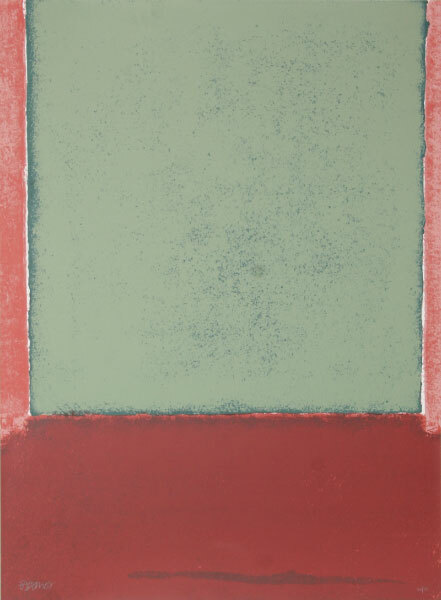 The second part, where his Infinity Field paintings clearly have a lot in common with the work of Mark Rothko, will cover from 1969 to his death in 1997.